Sony has recently confirmed the existence of the New NEX-5R Interchangeable Lens Camera which is a 16.1 MP High Defination camera composed of lots of new technology. It not only takes the high definition still with 16.1 MP but also records the high definition videos in variety of mode which includes the Full HD 1920X1080, 1080, super smooth 60p and much more. The new model is also hosting the features of a Hybrid auto focus system which enables the user to detect the subject distance and lock the focus in order to get the finest shot. The New Hybrid design allows to get the image quality as of the DSLR. 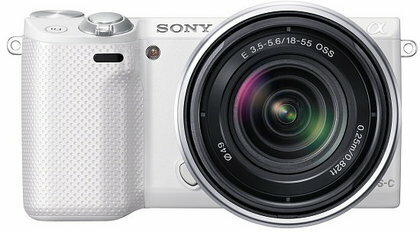 Sony 5R also includes the new technological features like WIFI, touch display interface with tilting LCD, addition to this you will also be able to directly upload your snaps to social networking sites like Facebook and twitter and much more.